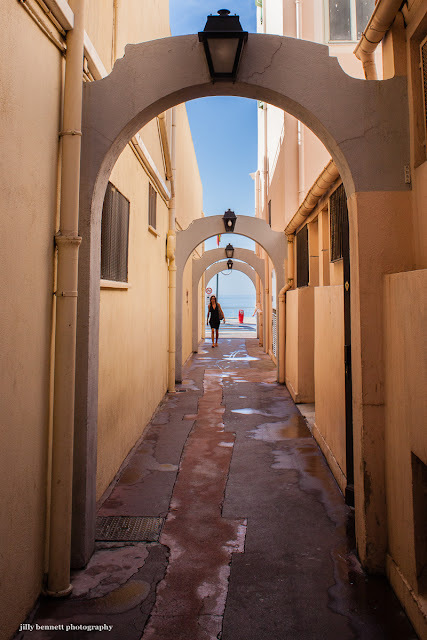 A passageway that connects the pedestrian street to the sea. Un passage qui relie la rue piétonne à la mer. Fab shot - nice perspective! And it's not even a trompe l'oeil.. It not only draws the eye but the whole person. Superb! Symmetry and asymmetry doing justice to each other. Very clean and tidy. Lacks life,maybe? I always love arches- beautiful shot! It makes me want to visit Menton so I can walk down to the ocean.